Aqua Tanks 25,200 litre, above-ground polyethylene water tanks can be used for domestic or commercial installations. Extra or larger tank outlets fitting are optional extras. 25,200 Aquatank – mist green or light grey. 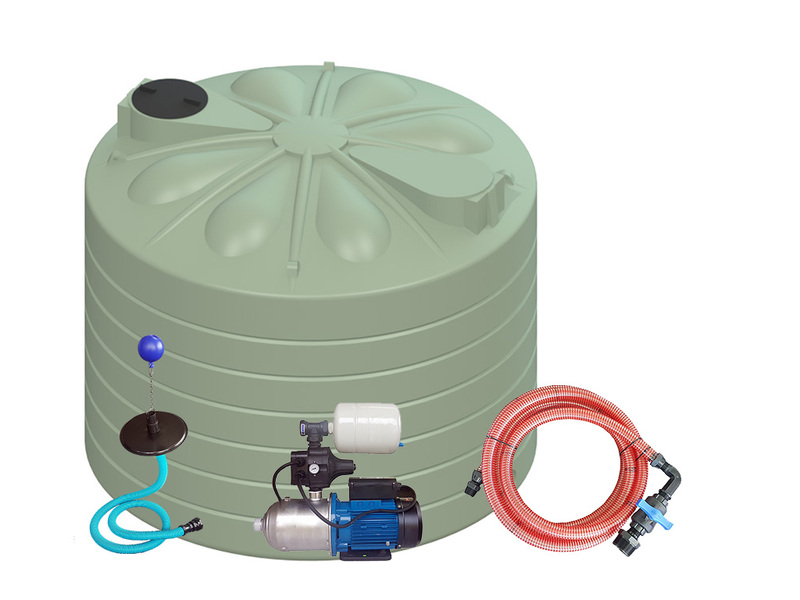 2m Hose Kit (25mm) – Connect tank and pump, includes 1 HANSEN ball valve (25mm). Aqua Snorkel – fit inside tank for floating suction (for cleaner water to your pump and house). 3L Pressure Tank – For high pressure water instantly.